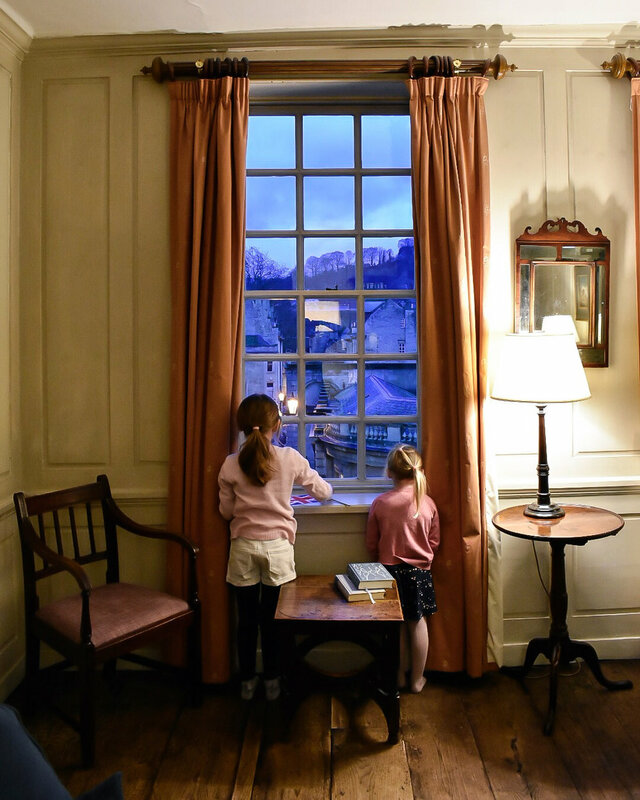 In early February we were lucky enough to spend a weekend at Marshal Wade’s House in Bath, a Georgian townhouse owned by the Landmark Trust. 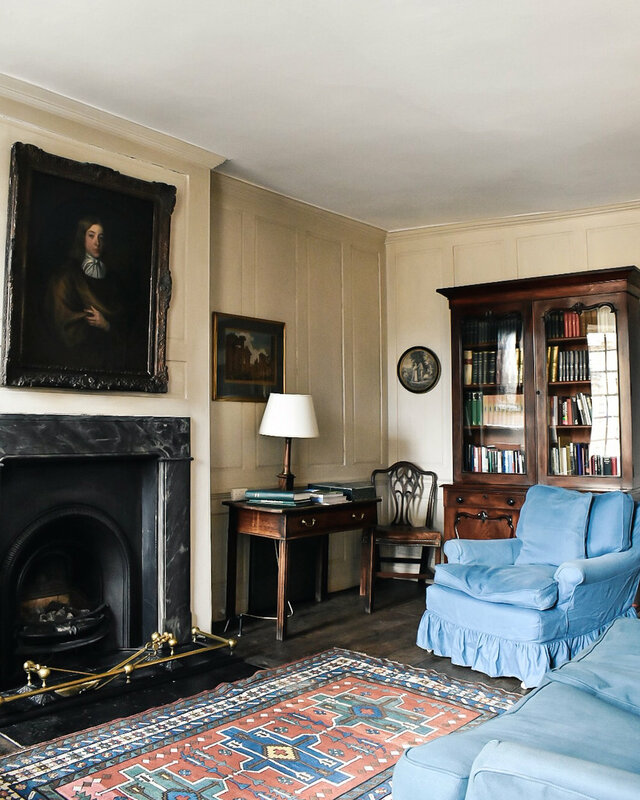 If you’ve never come across the Landmark Trust before or looked at their website, you’re in for a treat — they’re a charity who rescue historic buildings at risk, sensitively restore them, and then let them out as holiday homes. Most of their properties are in the UK but they also own a few in France and Italy. They’re all buildings that are full of history and character, and surprisingly reasonable if you’re travelling as a family or with a group of friends. I’d been on a tour of one of their properties in Spitalfields before, but had never actually stayed in one. Marshal Wade’s House is in the very heart of Bath, next door to Bath Abbey and opposite the Roman Baths and Pump Room. It was built in the 1720s in the Palladian style for George Wade, an architectural enthusiast and an officer in the Scottish Highlands — it was acquired in the 1970s by the Landmark Trust and restored. The ground and first floors are let to the National Trust and currently house a shop, and so you climb up to the second and third floors to access the property, which has quite simply amazing views over the Abbey. From the windows of all the rooms you feel like you can almost touch the wonderful facade of the church, with its angels climbing up Jacob’s ladder. To watch the town gradually come to life in the early morning light as you eat breakfast and listen to the Abbey bells toll the hour is an experience I won’t forget in a hurry. I’d been to Bath several times before, but only as a day trip from London. Staying in this very special place was the perfect way to experience Bath for a slightly longer visit. I really can’t recommend it highly enough if you’re looking for somewhere to stay that combines a central location with a sense of history. There were wonderful details, like the glass-fronted bookcase filled with everything from 19th century encyclopedias to editions of Jane Austen novels (and Claire Tomalin’s excellent biography of Jane Austen, which I started while I was there but didn’t finish, and so now have to buy!). The Landmark Trust properties don’t necessarily come with all mod cons (so, no dishwasher or TV, no fancy shower, no wifi) but even though I was travelling with my two young children (who frankly enjoy a bit of telly!) I found this to be refreshing rather than difficult. My eldest daughter in particular was desperate to stay longer, and I think we would all have quite happily stayed there for a week. Bath is full of things to do — we walked up to the Royal Crescent and The Circus, visited the Fashion Museum and Assembly Rooms, walked across the Pulteney Bridge, and stopped at cafes at regular intervals to escape the rain! We’d visited the Abbey and the Roman Baths the previous year, so didn’t go this time, although I’d highly recommend both if you’ve never visited Bath before. All in all, a really special weekend in a truly magical place, and one that I’d highly recommend. The corner of Gay and Circus. Hands down the best address ever. Disclaimer: my stay at Marshal Wade’s House was provided by the Landmark Trust on a complimentary basis. All the views expressed in this blog post are my own.